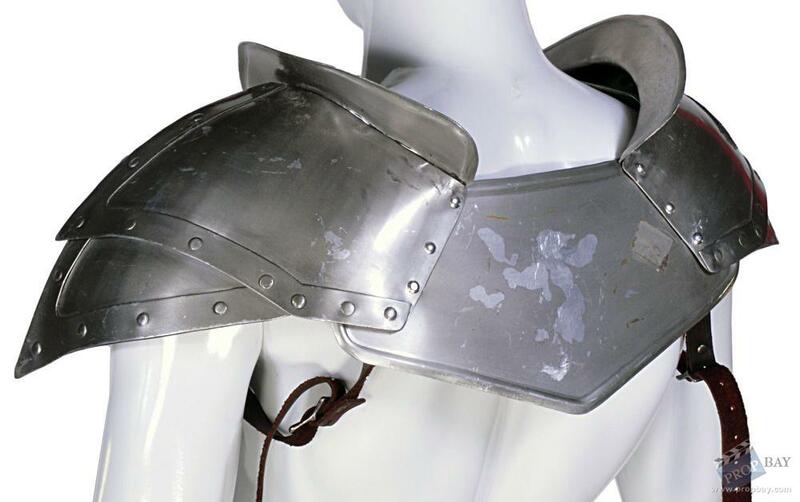 From the 2007 Action-Adventure movie comes this set of shoulder armor, which was custom-made for the production for use by Matthew Lillard as Duke Fallow. 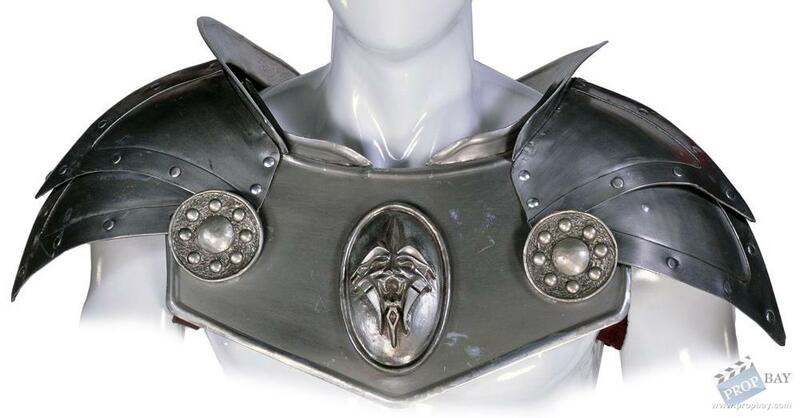 The armor is made of sheet metal with resin accents attached and has minor wear from use. 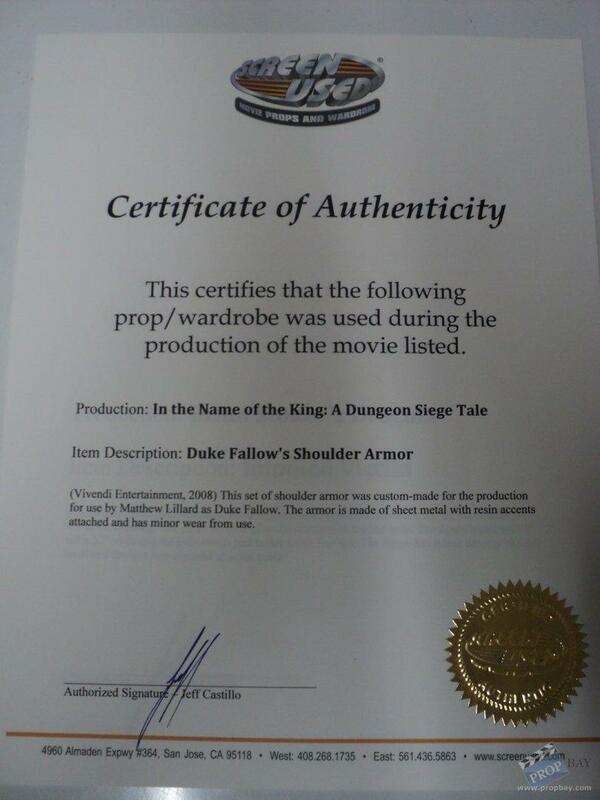 Duke Fallow wears this type of armor throughout the movie. 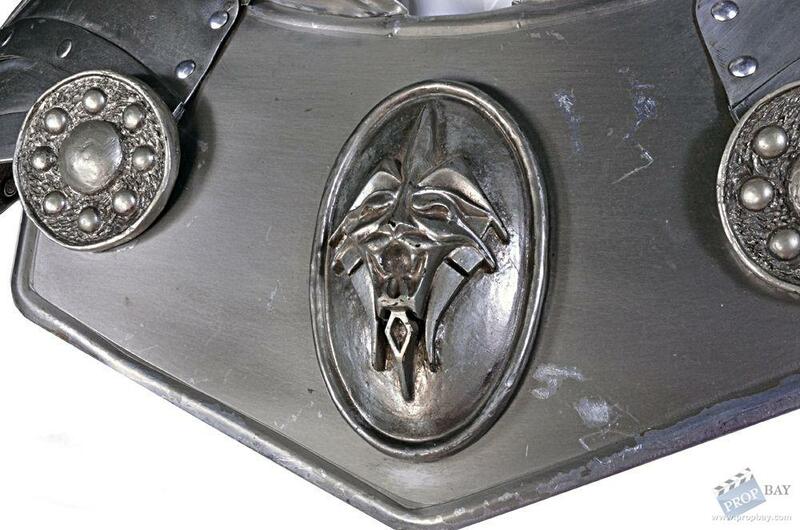 COA from ScreenUsed. Added: 07-31-2012 - Viewed: 3302 times.